In Colombia, iron deficiency affects up to 35% of children under twelve, with hotspots in the country’s Atlantic coast and Amazon regions. Affecting up to 2 billion people globally, iron deficiency can lead to impaired cognitive and physical development in children, while anemia, often caused by iron deficiency, increases risks to women during childbirth. Benefiting from a diet high in micronutrients is a challenge for vulnerable populations in Colombia, where beans are a staple crop. HarvestPlus, a global biofortification initiative jointly led by CIAT and the International Food Policy Research Institute (IFPRI), supports the CIAT Bean Program to tackle the problem of micronutrient deficiency at its core. Using traditional crop breeding practices, CIAT scientists developed the new beans with higher levels of iron. HarvestPlus has already released a range of biofortified crops containing higher levels of key nutrients such as Vitamin A, iron and zinc across the developing world. Beans in Colombia typically contain around 50 parts per million of iron; the new varieties contain 82 ppm – about 60% more. They have also been bred to contain 50% more zinc – a micronutrient vital for a strong immune system. 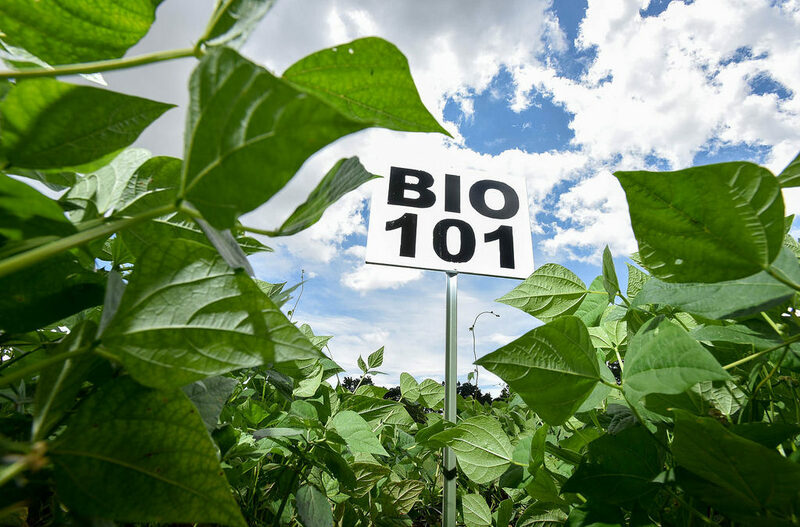 The new beans – referred to as BIO101 and BIO107 – also produce good yields and are of the shape, size and color preferred by farmers in the region. For the first time, CIAT partner Fenalce (a national grain federation) released biofortified beans in Colombia for the Andean zone. Colombian farmers now have access to higher iron beans which are a good sources of protein and carbohydrates, making them a “superfood”.